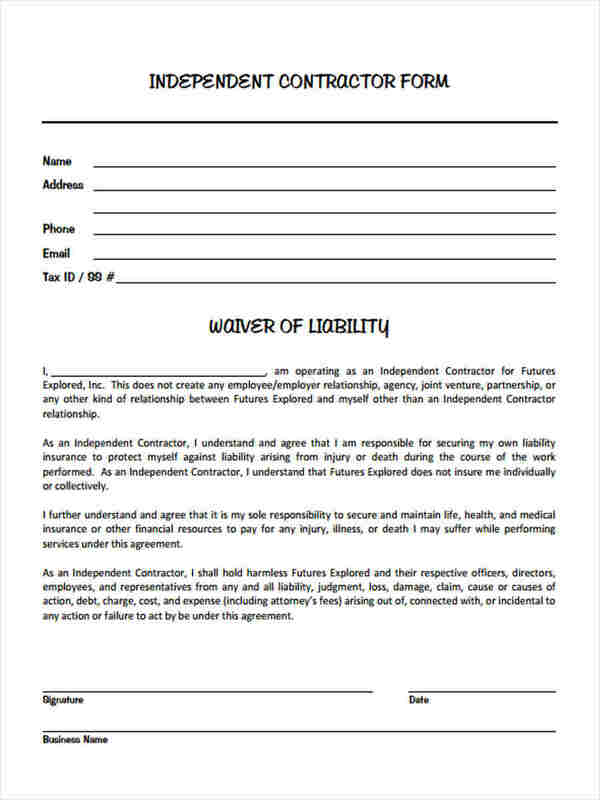 There are several known uses of Liability Forms ranging from student liabilities, medical liabilities, transfer liabilities, commercial liabilities, and many others. 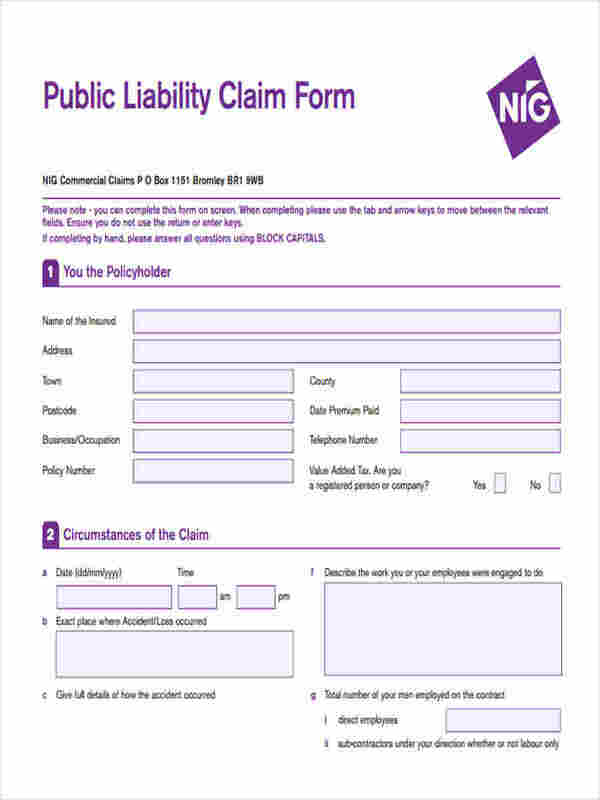 But one of the main use of these forms is to ensure that anyone who signs it has acknowledged that he will be responsible for his own liabilities for every decision he makes. The requirements of Release of Liability are easily achievable as it only requires specific information. 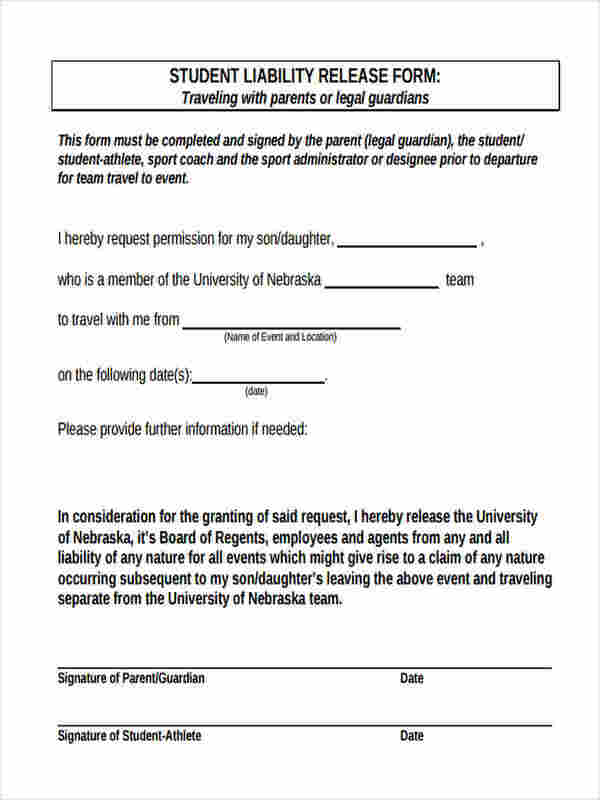 These details include the names of the parties involved in the agreement, a specified date and that a releasee needs to affix his signature acknowledging that he will not make legal actions against the releasor. 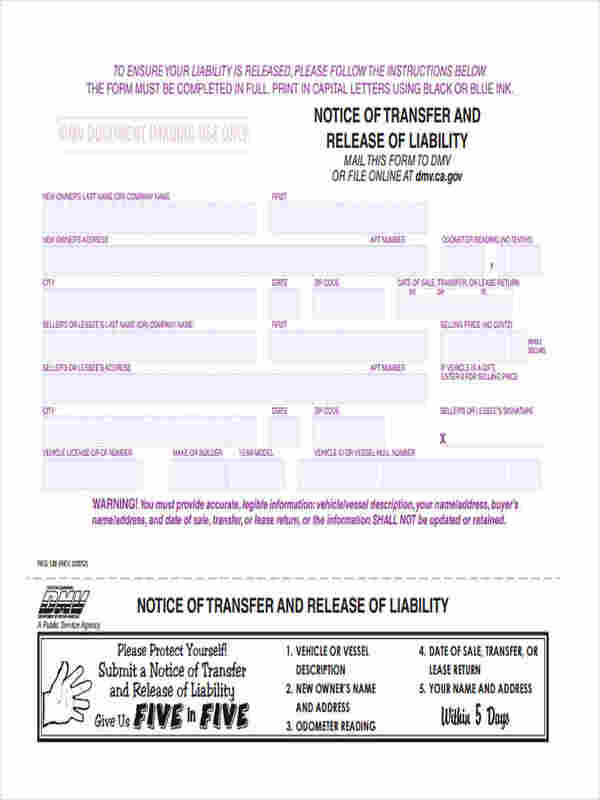 What is a Liability Release Form? 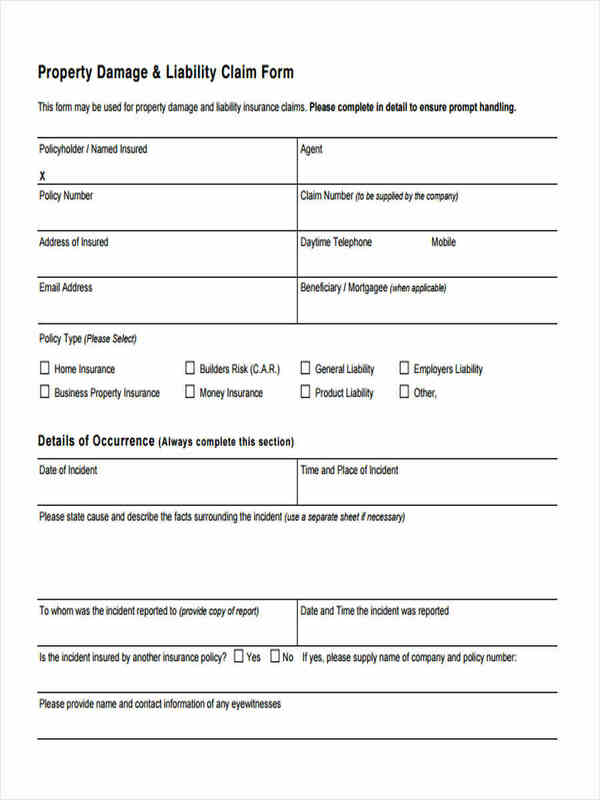 A Liability Release Form or a General Release of Liability Form is a document with a legal statement where a releasee affixes his signature to acknowledge that he, the signer, has released a particular party from obligations or liabilities which may come as a result of any incident. 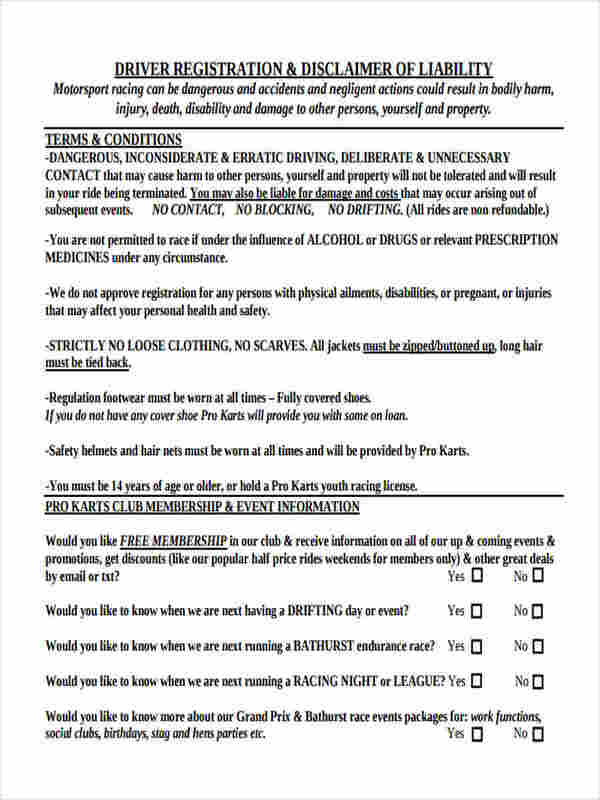 Although this liability release form does not give an absolute guarantee that someone, an event organizer, for example, is relieved from any legal case. This is why some liability release forms should consider having a witness to testify that all the risks possible during an event is included in the provisions of the liability form. 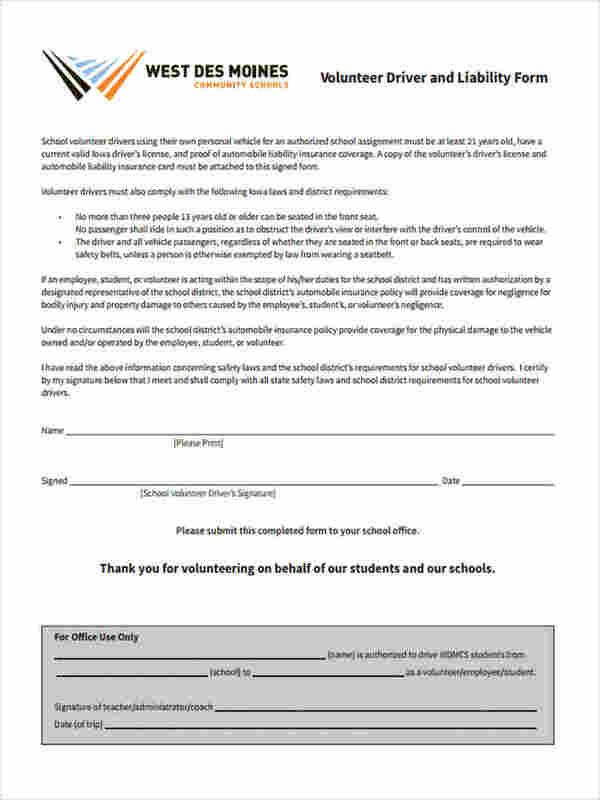 Unless due to negligence from the event organizers, the signer/participant can still take legal action. 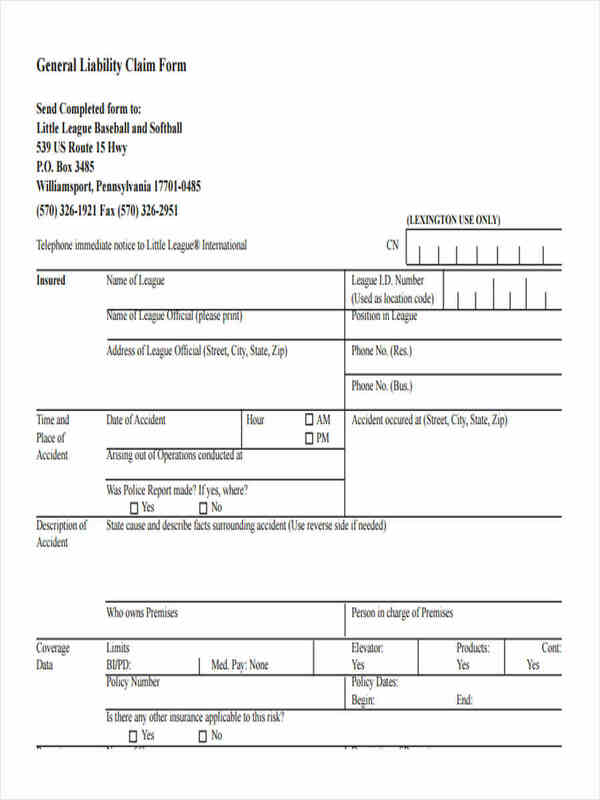 How Do You Create Liability Release Forms? 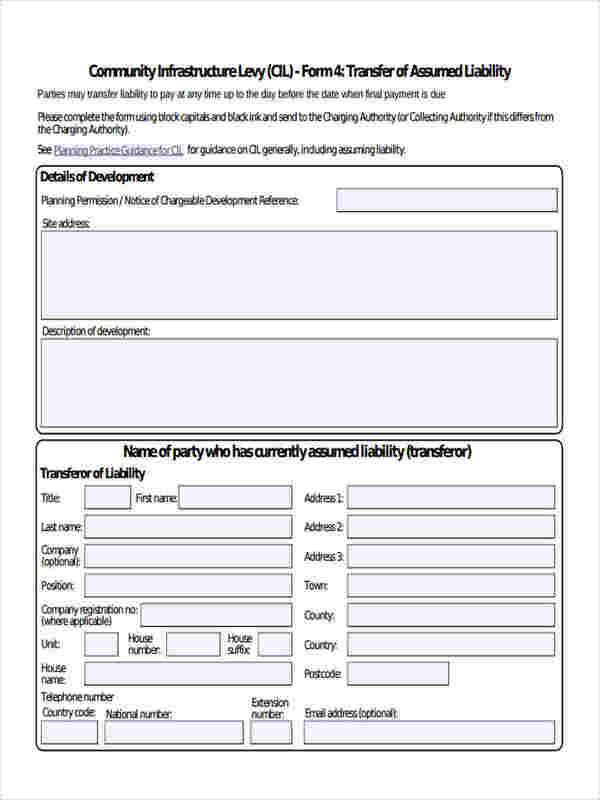 To create a Release of Liability Form, you may choose from various templates which may serve your purpose. 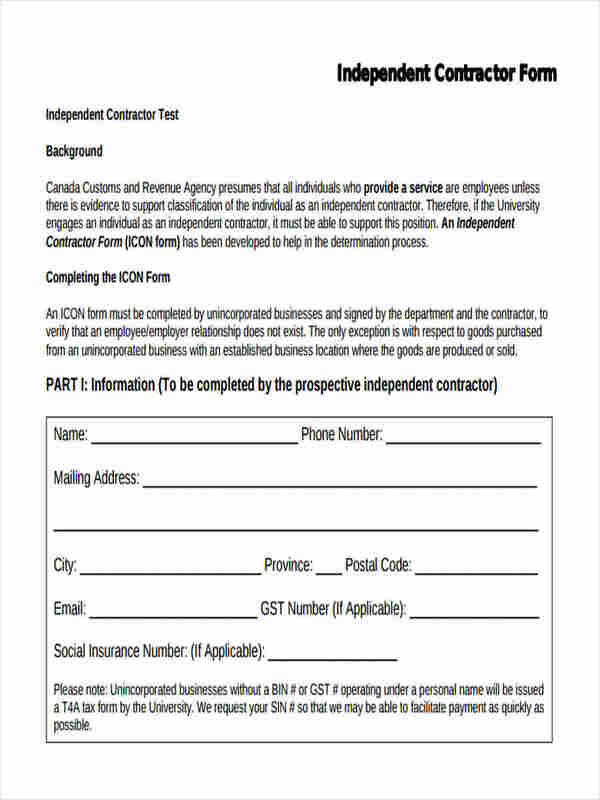 Creating a Liability Release Form is not like painting on air, as you need to carefully give details of statements which should be registered legally. These details should include the necessary agreements of which liabilities you wish to be free from and should also follow proper guidelines. 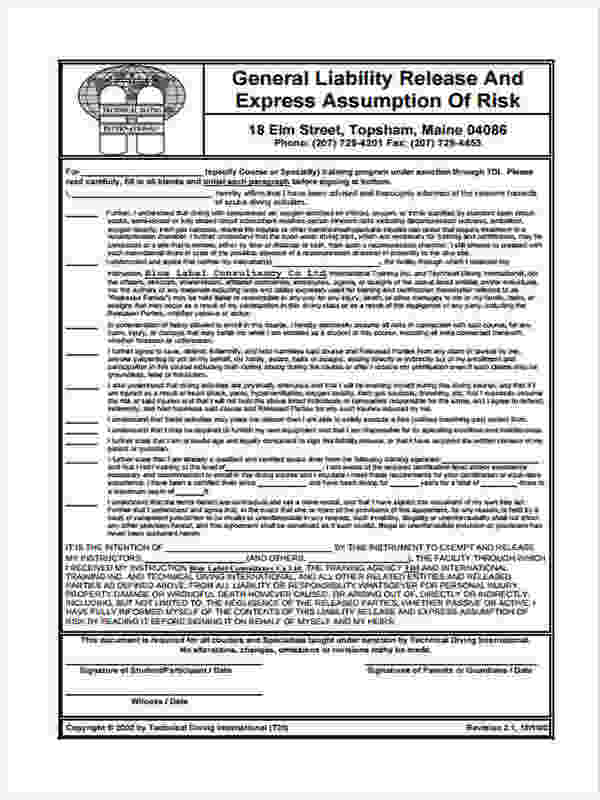 What is a Waiver and Release Form? Legally, the words waiver and release observe different meanings. 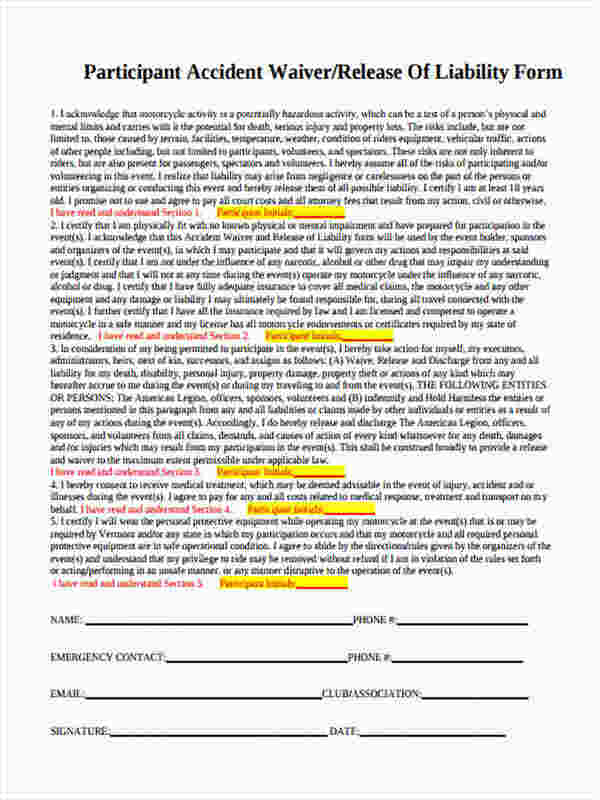 Defining each, waiver refers to a restraint, while release means to absolve or to free completely. While a waiver’s purpose serves the right of an organizing party to assert obligations which may be asked from them after incidents of damages, loss, and injury may happen to another party during their event provided that all risks have been informed. A release on one hand, may mean that the rights have been transferred. 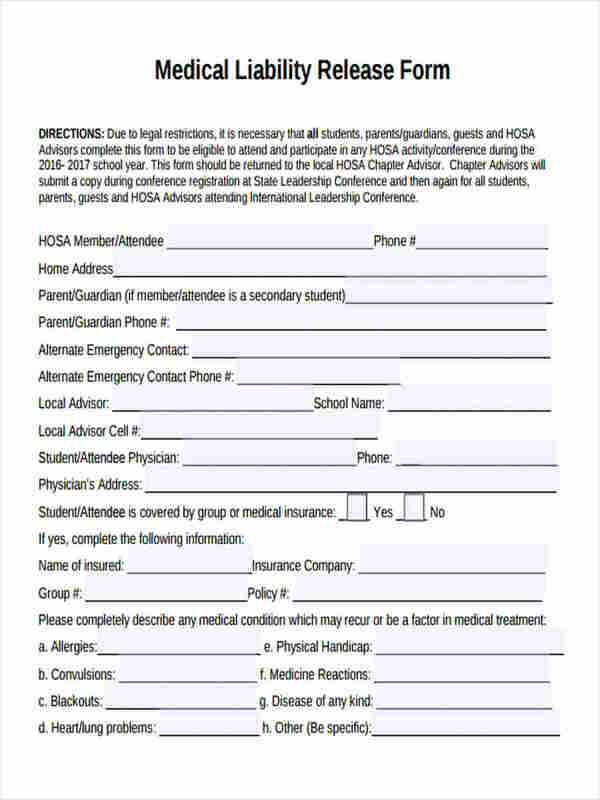 In the scenario of an event where a signer has sustained injuries, the release will completely discard the rights of the event organizer to be deemed responsible for the injured participant. This mean that any liability should be shouldered by the participant himself. But in the case of a Liability Waiver Form it may be deemed as relevant to one another. 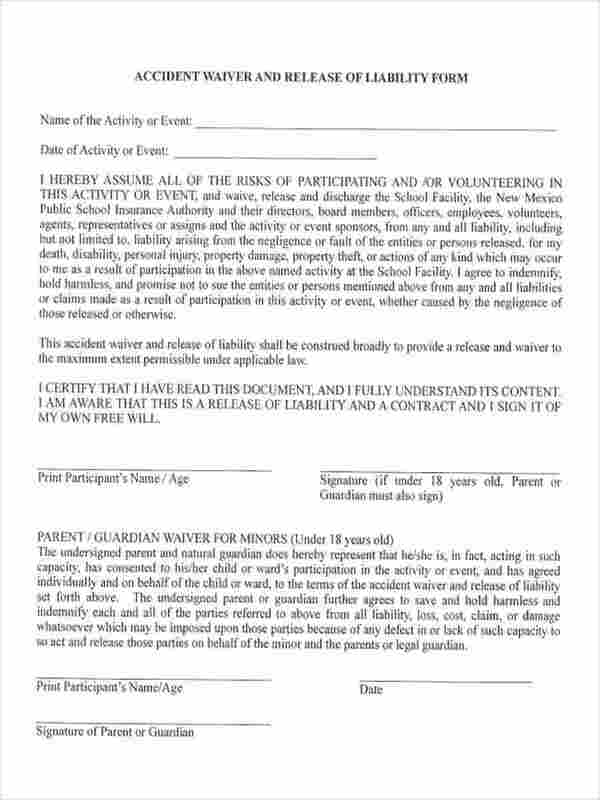 The moment these forms have been signed, the event organizer for example has both waived and released his rights from being held liable for any mishaps and thus, this legal statement is acknowledged and understood by the signer. Writing a liability release form will require both parties to declare their names in the document. 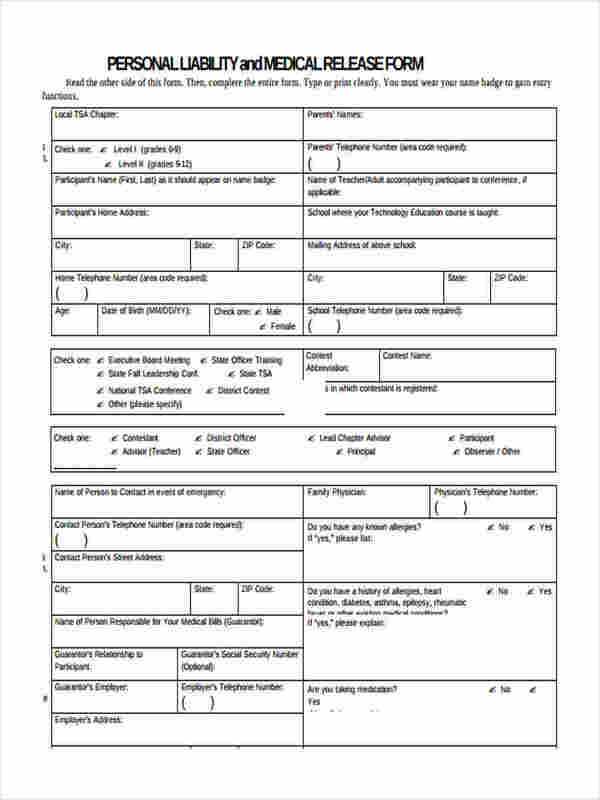 As always, the date from when the form has been signed should be written as well. 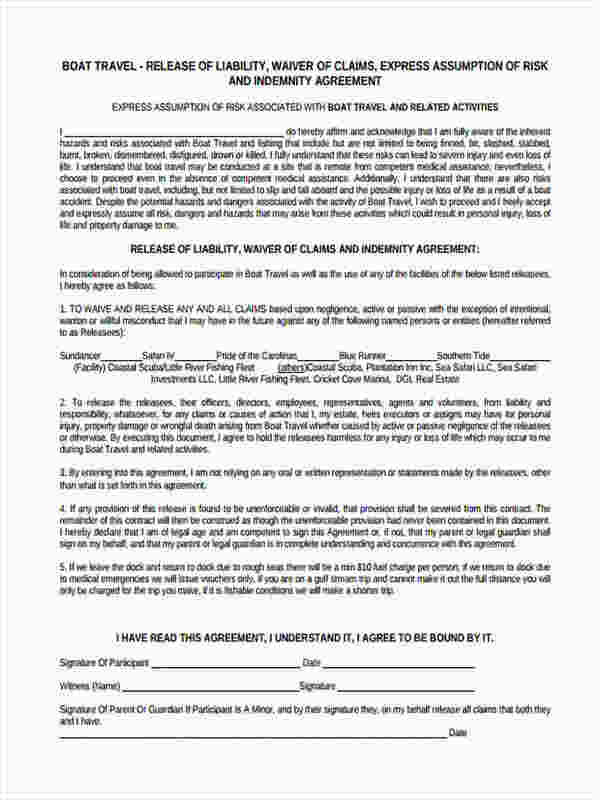 In the form, all agreement which states that the signer has been aware and informed of the risks that could possibly happen during an event must be present and that there should be a legal statement that indicates that the participant has conformed to participating an event at his own risk. Then follows the signatures of both parties. Affixing their signatures signifies the conformation to the agreement which will be expressed in the document. 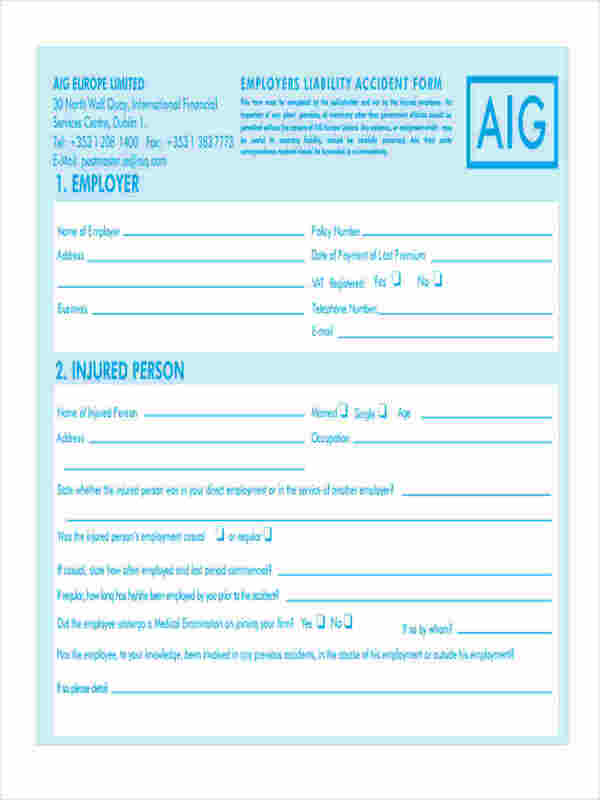 For a heads up, you can make these sample Waiver of Liability Forms as guide in writing an effective and efficient liability release form. 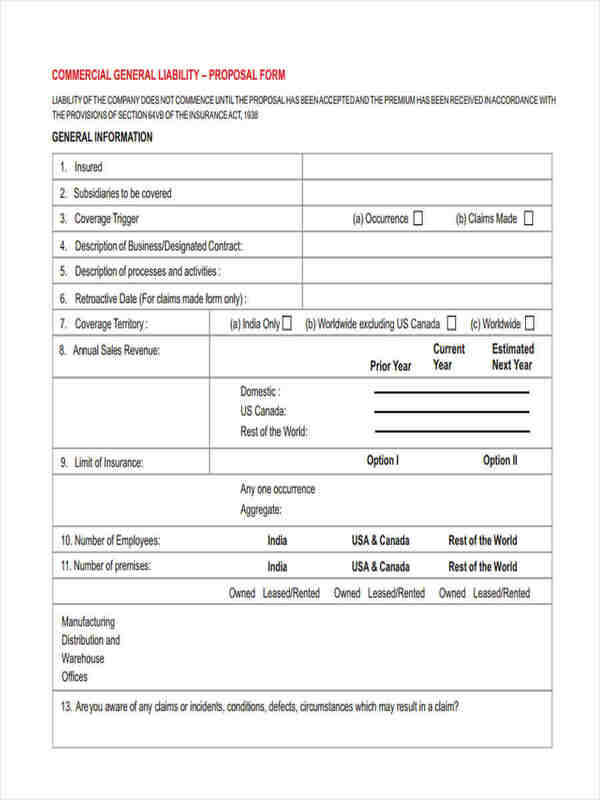 Where to Send Notice of Transfer and Release of Liability? 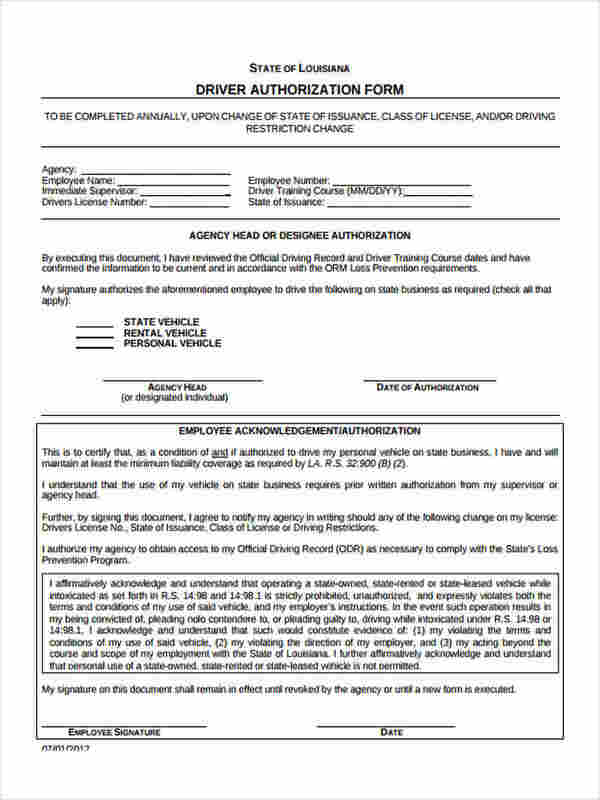 Following a specific Liability Form Template, a Release of Liability, along with a Notice of Transfer is used specifically when a pre-loved vehicle has been sold to a certain buyer. 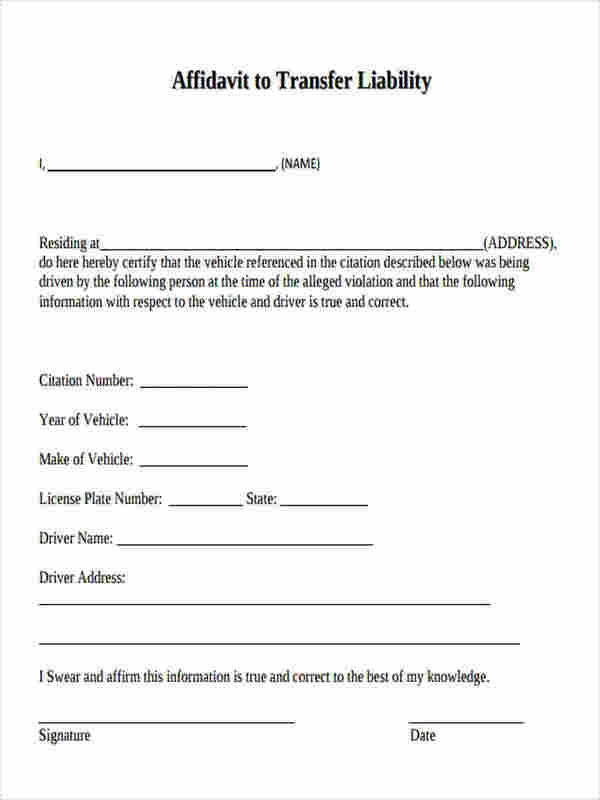 These forms, namely the Release of Liability and the Notice of Transfer are thereby sent directly to the Department of Motor Vehicles to notify the department that there has been a transfer of property of a once registered vehicle. Both forms should be sent to the Department of Motor Vehicles within five days after the sale of the vehicle. How to Get Copy of Release of Liability? 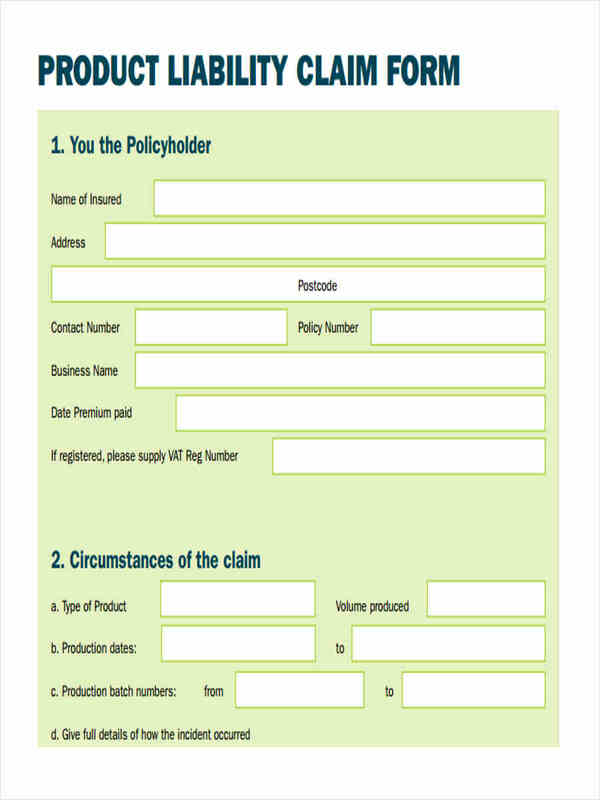 To get a copy of the Release of Liability Forms, simply ask the seller for it. 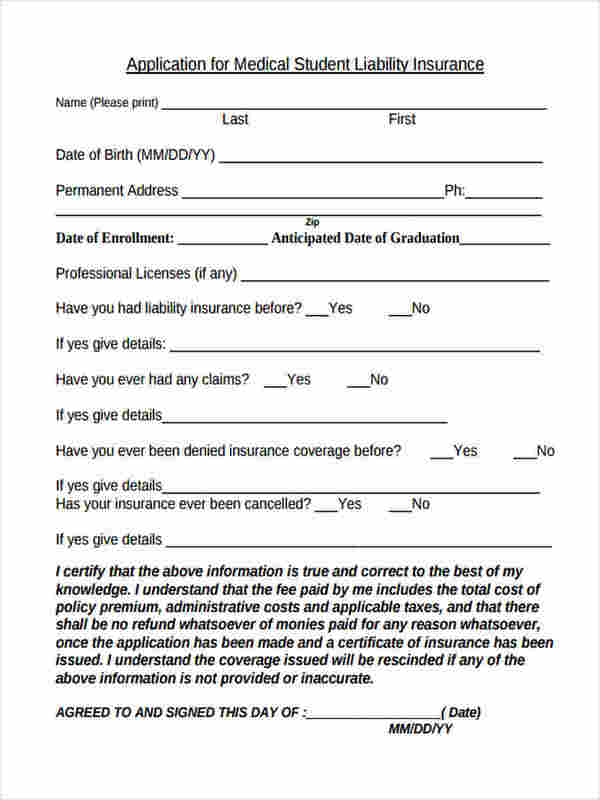 You can also provide your own copy by printing a liability form containing the same details included in the releasee of liability you have submitted to the Department of Motor Vehicles. These details include the license plate number, vehicle’s description, vehicle identification number, date of sale, a reading of odometer at the time of sale, and the personal information of both the buyer and seller. Or you may also file a Notice of Transfer and Release of Liability online and obtain your copy through downloading the information you have registered electronically. Ensure the quality. Businesses should consider specific procedures when coming up with their products, thus ensuring a good quality that fits worthy of the product valuation. Draft an Engagement Letter. The best protection from liability risks is to draft an engagement letter which contains the scope and the different valuation methods and approaches observed by a company. Address Communication Issues. Some disputes may arise if there are communication barriers between the company’s CPA and all other members within the business organization. See to it that there is constant communication between parties to ensure that issues regarding financial records may be addressed immediately and respectively. Keep documents. In the cases when clients of CPA may do business transactions, a professional CPA should keep financial records of their client. In addition, a CPA may reduce liability risk in business valuation if he sees to it that he is able to provide regular financial reports and advice to his client.